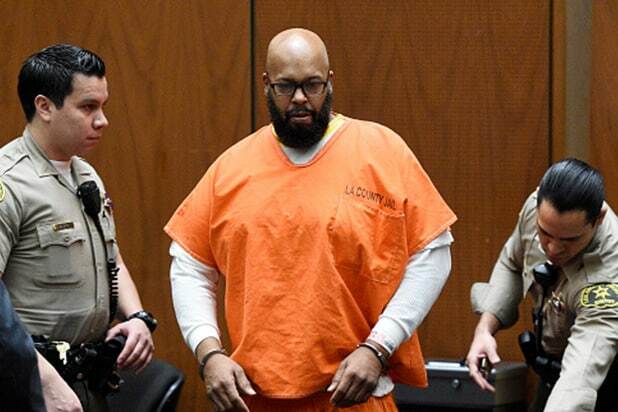 A Los Angeles judge set a July trial date on Thursday in the murder case against Marion “Suge” Knight. During the proceedings, Knight pleaded not guilty to murder, attempted murder, and other charges stemming from a January hit-and-run incident in Compton, California that left one man dead and another injured. Los Angeles Superior Court Judge Ronald Coen accepted the pleas and set the trial for July 7. Thursday’s arraignment was Knight’s first appearance in court since Judge Coen ruled on April 16 that the prosecution had sufficient evidence for the Death Row Records co-founder to stand trial. Knight’s attorney Matthew Fletcher — who successfully had his client’s bail reduced from $25 million to $10 million at the earlier hearing — was unable to get the bail amount lowered to $5 million on Thursday. His attorney has said Knight was fleeing an ambush when he hit the men. Knight is due back in court for a dismissal hearing on May 29.